Item Description: A wonderfully scenic route. 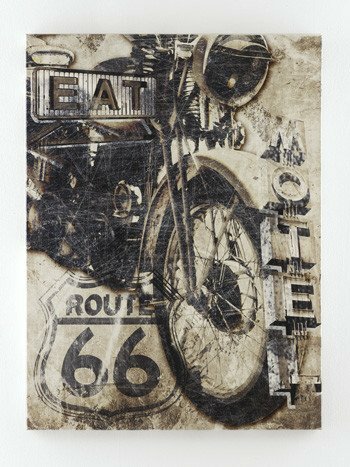 With its sepia-tone treatment, multi-layered effect and etched-effect accents, this giclee reproduction is such a tasteful slice of Americana pop art. 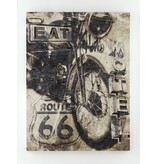 Series Features: Motorcycle Design in Black Gray, Brown and White. Gallery Wrapped Canvas Wall Art. Giclee Reproduction. Sawtooth for Hanging.